You are here: Home / Note Brokers / Private Note Industry: Become a Broker or Buyer? When considering participating in the private note industry, you may have been wondering exactly “how-to” participate. First off, let’s review the players involved a typical real estate note transaction and how to get involved. This is the person that holds the note, is receiving payments, and wishes to sell future payments for a lump sum of cash. The only way to be the Seller in this type of deal is to be holding or creating notes. You can do this by selling or flipping properties and carrying back an owner-financed deal. If someone uses seller financing on a regular basis they are usually a developer, rehabber, or property investor. As a seller, you also have the ability to “pool” your notes to sell in bulk. This will, more often than not, get you better pricing. The person or entity that has the money to buy the note for a lump sum today. They wait for a period of time to receive funds by collecting the payments. A Note Buyer has the ultimate in control when it comes to investing in the note industry and achieve some good returns in the process. You decide how much you are willing to pay for any given deal. You decide your hot buttons for underwriting risk. Maybe you are more concerned about equity than credit score. Maybe you care about location more than yield – in either case, you make the call. The person that puts a Seller in touch with a Funder and collects a “referral fee” for setting up the transaction. A Broker is a great way to get started in the industry – particularly on a part time basis. It enables you to focus on one thing… finding notes. It is also even possible for you to broker notes and still keep part of it for yourself (read the article Buying and Selling Mortgage Notes for Residual Income for more information). It helps get your feet wet and you can learn the process on someone else’s dime (not only that, get a fee for learning)! The note industry provides great opportunity for several types of people. At some point you may wear one (or all) of the hats when doing a private mortgage deal. I currently live in Florida. Is there any license requirements to become a note broker in Florida or any other states? Is your training for the invester or the note broker? Hello Ken, The training is written for both a broker and an investor. Many people start as a broker, learn the process, and then move into investing. All of the marketing strategies we use and teach for finding seller financed notes will work whether your plan is to be a broker, note flipper, or the end investor. For brokers there is a directory of note investors. For Investors We include an advanced manual that goes through standard the due diligence and document procedures should you want to purchase the note for yourself or your self-directed IRA. We always suggest purchasing title insurance and having docs reviewed by your attorney but having document samples will help the process along and avoid common mistakes. Our training is comprehensive and affordable without a bunch of hype or hard sales. I heard topics re: buying REO papers…do you have that in your course? Hello Ellen! Once a note is foreclosed for non payment it becomes REO or real estate owned by the bank or mortgagee/beneficiary. At that point you are buying property or real estate rather than paper. 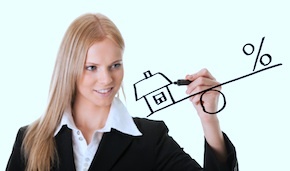 You could rent the property, sell the property, or sell and create an owner financed note. Our training is specific to the buying and selling of mortgage notes. While we have bought and sold real estate that is not the focus of the course. You can view the free intro videos to get an idea of our training style and the abundance of content. You will find the purchase details under the “Get Started” tab at the top far right. The pricing is very affordable (currently under $200) for top quality training from people in the note business.